Preventative maintenance contracts are vital. When equipment is not functioning at its highest level, it can seriously impact your business. Routine preventative maintenance reduces breakdowns, improves indoor air quality, lowers uitility bills, and contributes to the longevity of your equipment. At B.J. Kilpatrick, Inc., we will discuss your individual business needs along with evaluate your equipment and will make recommendations as to the best maintenance plan for you. Key points taken into consideration are business type, equipment size, environmental factors, and average daily occupancy. From there, we will develop a comprehensive contract consisting of general maintenance, industry-specific maintenance, time tables, and a detailed list of maintenance parts. 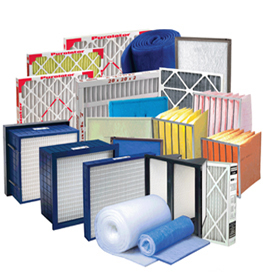 Generally, our preventative maintenance consists of replacement of filters and belts, thorough cleaning of equipment, pre-season start-ups, and an evaluation of system's overall operation. Contrary to popular belief, these contracts are very affordable and can be customized to meet your budgetary needs. In fact, customers that invest in a preventative maintenance contract generally have fewer service calls and their savings exceed the initial cost of the preventative maintenance contract many times over. Request more information on Preventative Maintenance Contracts.